Be the first to hear about their new releases and deals. Download the Booksprout app and search for Brigitte Novalis today! Brigitte Novalis comes from Germany, but now lives with her family near Boston, Massachusetts. She works as an intuitive healer, therapist and Reiki Master. 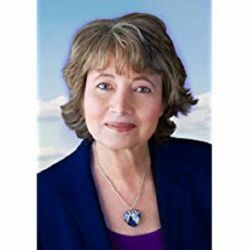 She is also a motivational author and has written books, in both English and German, on helping people with things like connecting with nature and meditating, getting what you want from life and finding love. But for her entire life, Brigitte has also been a fan of fairy-tales. Since her early childhood she marveled at the tales of dragons, princes and princesses living in faraway castles and lands.